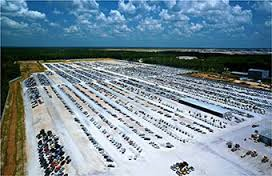 • A Majority of Insurance Auctions, Salvage Auctions, and Auction Pool companies can sell only to a limited number of licensed and registered license Salvage Dismantlers, and Dealers. We possess all proper licenses and registrations, giving us the ability to buy any vehicle for you anywhere in the country. Even where some states require special bid cards, where even dealers are not permitted to bid Salvage World Auctions can bid for you! • Your total purchase price will consist, in part, of the actual sale price at the auction, as well as all applicable auction fees and INSURANCE AUCTIONS Direct Inc or other broker service fees. Please use our "Fee Calculator" to obtain a cost estimate. Your bid represents your total liability before addition of fees as above. Because of our special relationships in the industry, there is no warranty or guarantee that your final bid will be equal to the winning auction amount. We often are required to pay administrative fees, broker fees, bulk sales fees, and agent costs in order to obtain the best prices. We do insure, however, that you will never pay more than your approved maximum bid before the addition of auction and service fees. Please note, if you are the highest bidder during the live sale and the reserve has not been met the vehicle can still be sold to you while its on seller' approval. Every vehicle with a bidding option allows you to request live on the PHONE BIDDING with one of our registered affiliate buyers nationwide through I Bid Solutions who represent the vehicle live at auctions nationwide and or online through their broker accounts. If you submit a live on the phone request you will recieve and email with approximate time of the sale and one of our support representatives will put you in touch with the affiliate buyer from I Bid Solutions for an additional fee of $100 dollars , 5 minutes before the bidding starts. 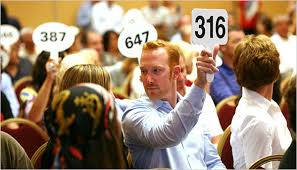 During your item at the live sale the representative will tell you the current bid amounts and you will tell them to bid or stop. Please keep in mind you need to answer quickly go or stop because auctioneers at live auctions lay down the hammer and sometimes take favoritism over buyers they see weekly at the sale rather than someone online clicking a button who is taking their time. 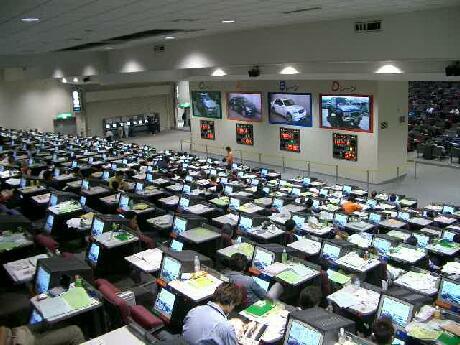 Please note the sales are very quick and there are only 3 seconds between bids. 1. Register as a SalvageWorldAuctions user. Now that you are a registered SalvageWorldAuctions user, you can browse and bid on any of our vehicles in the database. Once you have found the vehicle you like, please be sure to view the pictures to see all the damage/problems with the car; details are minimal because this is the standard information provided by the auction. Also, please note that all auctions are set to "go live" on a certain day. We do not require credit cards to bid on any of our vehicles. However, remember that bidding on a car enters you into an agreement with Salvage World Auctions for us to pursue the purchase of your vehicle. If our affiliated dealers win this auction, full payment will be due by the end of the 2nd business day from the invoice being posted to your account. To read the entire insurance auction item purchase Terms and Conditions, please click here. By depositing funds to your account, we can securely submit your offer to the insurance company that is handling your vehicle. Without a deposit, we will NOT pursue the acquisition of your vehicle. Please remember that all deposits must be submitted before 8:00AM EST the same day of the bidding period ending. For west coast vehicles deposits must be submitted before 2:00 PM EST. Currently, we are accepting multiple methods of payment: Credit Card for deposits only, Global PayX payment solutions by Western Union, Official Bank Cashier's Checks and Wire Transfers. Global PayX and or Credit Card deposits are the quickest way to initially fund your account. Once we have your cleared payment, we will update your Salvage World Auctions Account and you can go to the my account section to monitor such transactions. Click here for instructions on how to submit funds into your account. IMPORTANT NOTICE: Credit Card refunds may take 5-7 business days. Reason for this ,is we want to discourage customers from bidding on one vehicle then, ask for a refund. Probability of getting the first vehicle you place a bid on, usually does not happen unless you have experience in the industry and are realistic. Our experience when it comes to salvage cars for sale and to bid, we noticed customers start to get the hang of bidding, and start to feel more comfortable with our Global Insurance Auction Consultants after the first two to three weeks of placing offers on numerous vehicles. We encourage you once you have placed a deposit, to place bids on at least 10 to 20 vehicles. This way our consultant can advise you of the best vehicle to go for that would be the best price. Some insurance companies get higher prices in different States because labor to repair them is much less. Or an Exporter can pay much more for a vehicle because labor in other countries is much cheaper than it is in the United States. Our Site updates twice a day with 1000's of new cars every day twice a day. Once you are the highest bidder at the end of an offer period and your account is funded our system will submit your offer as a preliminary bid to the insurance auction that your Car is being sold in over night. You will be notified the following morning via your, my offers section if your offer your offer was rejected. If it is rejected one our associates Will contact you via telephone to offer you the chance to submit a higher offer one last time. Your offer will be accepted verbally, however you must email our office a revised offer for the Item number for Salvage-world to submit once again. Your funds remain in your account for any future offers you wish to submit. There is no penalty for submitting offers on Salvage World Auctions. If at any time you wish to remove your funds from Your Salvage World Auctions account, you must request a refund via our website only. The request form is located in the About us section of the website. 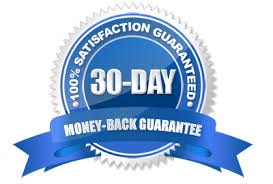 Refunds can take up to 30 days to be processed from the date of your request. Once a vehicle has been purchased for you, an invoice will be posted to your account. You must sign the bill of sale and fax it back to salvage world auctions offices 305 489 7808​ along with a copy of your drivers license or passport. When we receive your signed Bill of Sale the process begins. You are then required to pay for your vehicle in FULL within 24 hours via WIRE TRANSFER only; Credit Cards will not be accepted for final payments. 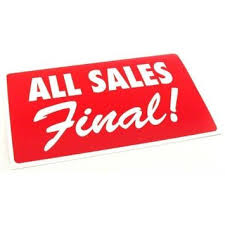 You are then required to sign and fax back the updated Bill of Sale to our office as soon as possible. 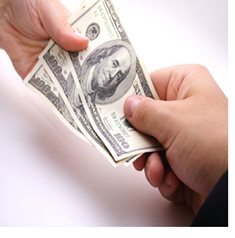 We will then email you a new Bill of Sale showing that your vehicle is paid in full. 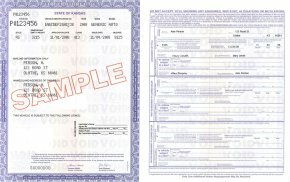 Now that the Vehicle is paid in full and all necessary paper work has been completed, it is time to mail you your Title of Ownership for your purchased vehicle. salvage-world will send your title via UPS Ground Service or FED EX saver delivery, we will not overnight titles for vehicles unless you provide us with your UPS or FED EX account number. The whole process can take any where between 7 & 10 business days from the time we receive your final signed Bill of Sale. PLEASE NOTE: There is a $85.00-$125.00 title paper work processing fee that must be paid to salvage world auctions prior to us sending you your title. This fee applies to both motorcycles, boats, industrial equipment and automobiles. We are NOT like other sites our processing fees are realistic. 10. Can Salvage World Auctions ship my car? 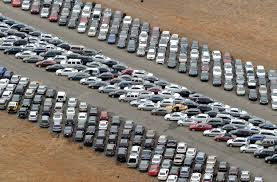 Salvage World Auctions is not a shipper and does not transport vehicles. However, we will help you arrange transport to your desired location or country. We have a vast network of transporters through out the United States that can deliver any vehicle door to door or to any major port in the country for export. 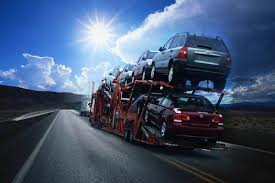 If you require a freight forwarder to handle the shipment of your vehicle we can recommend one to assist you. We recommend you visit www.EZhaul.co for an instant quote. Yes! Salvageworldauctions reserves the right to charge $50.00 per day for late fees, storage and service charges associated with late payment. You must fax or email a wire transfer confirmation which you can get from your bank to our account department at fax number 305 489 7808 or info@salvageworldauctions.com with a cover sheet referencing your full name, telephone number & invoice number. If you decide not to pay the full amount owed on your invoice, your vehicle will be "re-listed" and your security deposit will be forfeited. A security deposit is required to cover the cost of re-listing the car for sale. This re-list fee is billed to Salvage World Auctions by the insurance company and we in turn bill the Salvage World Auctions customer.